The first "new" Michael Jackson track to emerge since his death has been unveiled. 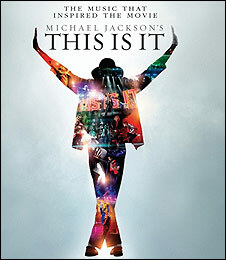 Titled This Is It, the song is likely to be the tip of the iceberg of posthumous releases. Before his death, Jackson had been hoping to reignite his career by writing and recording with pop stars including will.i.am, Akon and Ne-Yo. Will.i.am has said their music was "fresh" and "melodic". Akon, meanwhile said he was "working on a lot of ideas" with Jackson. Jackson's estate has made no secret of the fact that it wants to keep his memory alive while exploiting the renewed interest in his music. That means Jackson will join a long list of artists for whom death has not been a barrier to releasing new music. Fourteen years after the death of John Lennon, the three surviving members of the Fab Four got back together in the studio to work on two new Beatles singles. Yoko Ono had handed Paul McCartney two mono cassettes of Lennon singing new material at his piano, telling him that she did not break up The Beatles but she was in a position to bring them back together. A half-finished ballad, Free As A Bird, was completed with full instrumentation and some new vocals and lyrics from McCartney, George Harrison and Ringo Starr. It was released as a single in 1995 and reached number two in the UK and number six in the US, and appeared on the Anthology 1 collection. 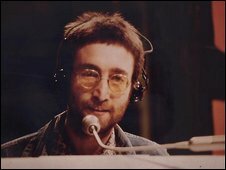 Lennon's demo for a second track, Real Love, was also completed by his former bandmates and released as a single. The trio considered doing the same to a third "new" track Now and Then - but decided against it, prompting ongoing speculation that it could one day be given the same treatment, despite the subsequent death of George Harrison. 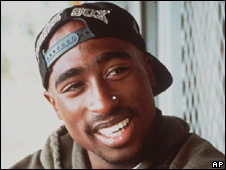 At the time of his murder in 1996, Tupac was fast becoming one of the biggest rap stars in the US, having scored a massive hit with California Love. So why let death get in the way of his success? Shakur left almost 300 unreleased songs, which have been turned into eight posthumous albums with the help of a raft of other artists and producers. Each of those albums has sold more than a million copies. He is now the biggest-selling rapper in US history - and has sold more albums than Bob Dylan, Britney Spears or Bon Jovi. Another album, Shakurespeare, is expected next year, although the stream of new songs is finally starting to run dry. 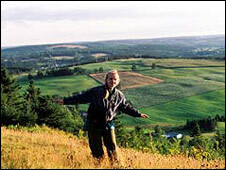 US singer Eva Cassidy died a virtual unknown when she succumbed to cancer at the age of 33 in 1996. She had released just one solo album before her death. After she passed away, a small label released a compilation of her recordings, Songbird, which made its way to BBC Radio 2 host Sir Terry Wogan, the UK's most popular radio DJ. As soon as Sir Terry played Cassidy's version of Somewhere Over the Rainbow, the station was inundated with enquiries from listeners. TV show Top of the Pops played a clip of Cassidy performing the same song and Songbird shot to the top of the UK album chart. Two more collections have reached number one in the UK - Imagine in 2002 and 2003's American Tune, which knocked Robbie Williams off the top spot. Katie Melua's vocals were added to Cassidy's rendition of What A Wonderful World for a posthumous duet, which went to number one in 2007. 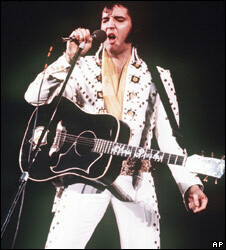 In 2002, 25 years after Elvis Presley's death, his estate decided they needed to take the King of Rock 'n' Roll to a new generation. So they seized upon a relatively obscure track, A Little Less Conversation, and asked Dutch DJ Tom Holkenborg - aka JXL - to create a dance remix. The result was used in Nike TV adverts during the football World Cup and spent four weeks at number one in the UK. It paved the way for 18 of his singles to be re-released, one after another, in 2005 to mark what would have been his 70th birthday, ensuring he was a fixture near the top of the charts for three months. Outtakes, rehearsal recordings and concert footage continue to dribble out on new albums, while in 2008, an album of Christmas duets was created by adding vocals by the likes of LeAnn Rimes and Olivia Newton-John to existing recordings. 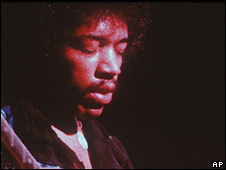 Thirty-nine years after his death, there are still enough unreleased Jimi Hendrix recordings to keep fans happy for another decade, his sister Janie recently said. "Every 12 to 18 months we'll continue to have new releases and official bootlegs," she said last month. "Jimi was a workaholic. We have an amazing amount of original masters, including a lot of material that hasn't been previously released." That will continue a pattern of posthumous releases. After Hendrix's death, drummer Mitch Mitchell and engineer Eddie Kramer pieced together two new albums Cry of Love and Rainbow Bridge, both released in 1971. A string of other "new" Hendrix albums followed, with varying quality. After a battle for control of his music, his family finally reconstructed the album the guitarist was working on when he died, First Rays of the New Rising Sun. Released in 1997, that is regarded as the most faithful attempt to piece together his "final" album.